What are the psychological causes of a speculative bubble? In the first and second part of the series I dealt with the monetary causes of the Lehman bankruptcy and the associated collapse of the world economy. 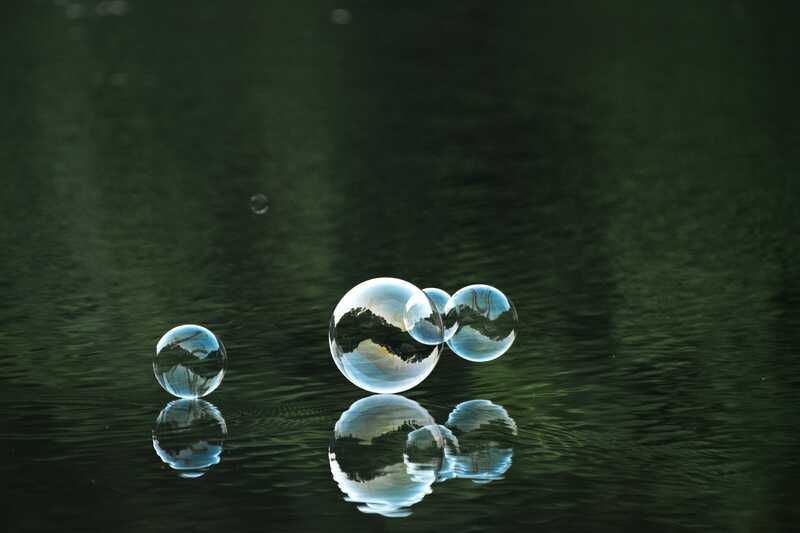 This blog post deals with the psychological roots of these bubbles. Speculative bubbles have been around since people started trading assets. Almost 4 centuries ago, in 1637, the tulip imported from the Orient became a status symbol for the upper classes in the Netherlands. Tulip bulb prices skyrocketed and continued to rise until they cost as much as a high-end house. At which point, no one was willing to pay the market price. The bubble burst – a pattern repeated over and over again since then. Three elements play a role in the development of a speculative bubble, all of which, apparently each generation needs to learn for itself. First of all, greed and envy can lead to a speculative bubble. When friends and neighbours in a person’s social environment have become rich by buying shares, the person wants to do the same. So he or she buys the shares – even if prices rise. This additional demand drives up the price. This behavior can quickly develop into a herd behavior. If investors believe the price of a particular asset is rising, they will buy in. High demand causes prices to rise, incentivizing more people to buy. The cycle continues – prices rise and rise. Herd behavior is widespread among fund managers and forecasters. Fund managers tend to buy stocks that all other fund managers buy. Even if the share price collapses sometime later, managers don’t need to justify their decision: They only did what everyone thought was right. Even forecasters tend to base their forecasts on those of other forecasters, especially in times of great uncertainty. The third element that plays a role in the development of a speculative bubble; many people are convinced they are smarter than the market. Even if market participants know that the price of a certain share is overextended, they will still enter the market as buyers, counting on finding someone to whom they can later sell at a higher price. Market participants, experienced investors and newcomers alike, believe they can “time the market” and exit with profits. Can we ever neutralize the psychological elements? More than 30 years ago, Vernon Smith started experimenting with the behavior of people in simulated financial markets, sparking an interest in the psychology of markets and spawning multiple studies by economists and psychologists across the globe. The findings across the board: as soon as the number of trading phases is greater than 15 or 30, a speculative bubble occurs, which ends in a rapid and sharp drop in prices. This held true even when varying the experiment design – e.g. the introduction of a transaction tax or limitation of price fluctuations. If these psychological elements exist in human behavior, can we ever prevent the overheating of asset markets? We’re skeptical. Prepare for more speculative bubbles in the future. If you enjoyed reading this post you will also like the first part of our series. Economic Crisis: Where are we today? What are the central causes of an economic crisis?